After Martin Luther led the Protestant Reformation, the 7 Sacraments dwindled to the 2 Sacraments in non-Catholic Christian circles. This is unfortunate because sacraments bestow graces and thus the marriage sacrament brings down God’s graces on a couple. And those turn out to come in very handy when wedded bliss wanes. 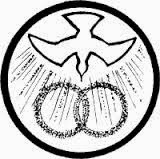 For more information on Catholic sacramental marriages versus Protestant non-sacramental marriages, here is an excellent article on Marriage as Sacrament. Sacrament or not, our confused modern times are incorrectly seeing divorce as a reason to party. This is a bad idea. For one, they are expensive. I came across one article where an event planner claimed a woman paid $25,000 for her “freedom fest.” The party paraphernalia for divorced divas and newly un-chained bachelors is also stupid and also expensive. The party crowd sees divorce as moving forward into things like co-parenting and co-business management. I found articles quoting parents of young children explaining that the party was especially important because kids were involved and it offered closure. Sure. 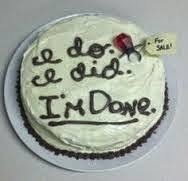 So the kids party, wake up the next morning and announce: “I’m good now.” Rather than mourning the death of a relationship, these divorcees think it’s better to party like it’s 1999, or 2015, or the Fall of Rome. Some of the divorcees are acting out of spite, often due to a cheating spouse. The party is their way of spitting in the face of the cheater and saying, “Who the hell needs you anyways!” One woman having such a revenge party, burned her wedding dress on top of the grill. Foam targets with the cheater’s picture are often used for target practice at parties. Novelty companies that produce items for bachelor and bachelorette parties have reported adapting some of the same items in addition to offering a line of sadistic items. I inadvertently won one a few years ago. I entered a contest for a kitchen remodeling and won a consolation prize. It was a set of knives for a divorced woman, called “The Ex.” The knife holder was the plastic shape of a man with slits for the knives. 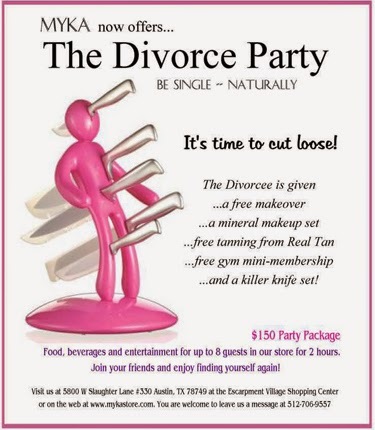 The popular divorce party themes are “spite” for women and “freedom” for men. 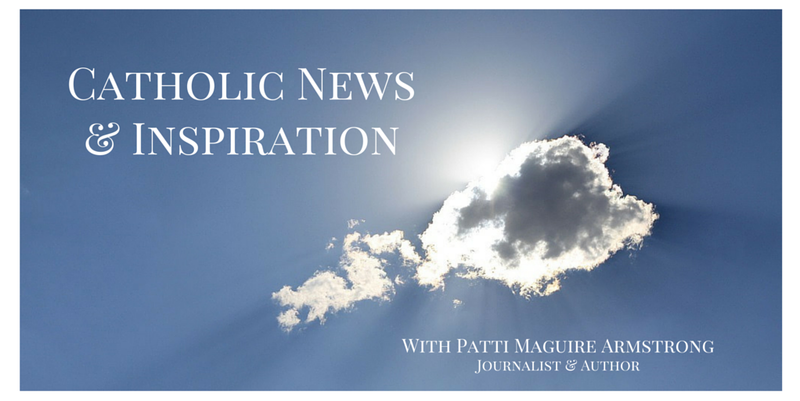 This is a very different theme from what I’ve seen among divorced Catholic friends and acquaintances in my world. Among the eight or so that I know personally, the theme for the end of their marriages was God, prayer, and healing. They understood that marriage was a sacrament meant to last a lifetime. The end was painful and not their choice. Some spent many hours in front of the Blessed Sacrament and went to daily Mass, brining their pain to God. They not only prayed for healing but also for the spouse that hurt them because they know forgiveness, albeit not easy, is the goal. In the case of one divorce, there was a large family involved and many years of hardship and mistrust. The wife felt she had to divorce her husband to protect herself in a number of ways. The husband ended up in prison for illegal business dealings. The wife struggled with forgiveness but she worked at it and prayed for her ex-husband. After the husband was released from prison around seven years ago, he moved to another state. He converted and repented, and began to live a humble life that revolves around the Church. Two years ago, they reunited. They are very happy together now—like newlyweds--and God is at the center of their relationship. 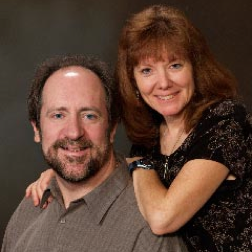 When I co-authored Amazing Grace for Married Couples with Jeff Cavins and Matthew Pinto, all the couples were headed for divorce, some had already separated and one actually did divorce. The “I don’t need you” attitude pervaded for these couples. 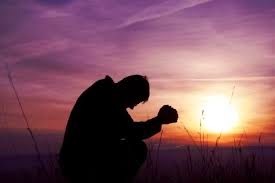 But when prayer took hold, and God was welcomed in, it changed everything. Seemingly hopeless relationships were born again with a love deeper and stronger than in the beginning. Even with prayer and forgiveness, not every broken relationship is recoverable. But regardless of how things end, a prayerful recovery looks very different from a divorce party and leads to a very different place. For more inspiration, check out Big Hearted: Inspiring Stories From Everyday Families uplifting stories on love and life. Children's books, Dear God, I Don't Get It and Dear God, You Can't Be Serious are fiction that present faith through fun and adventuresome stories.